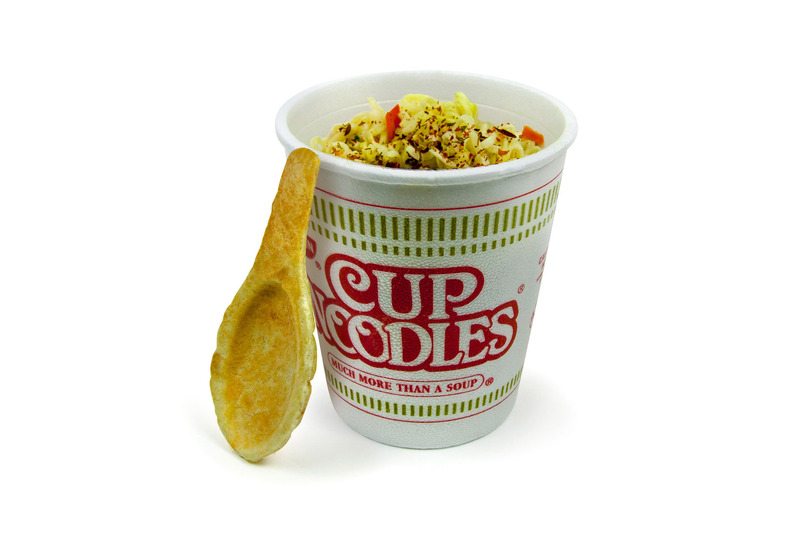 The Edible Spoon Maker is the only spoon maker you can find today. 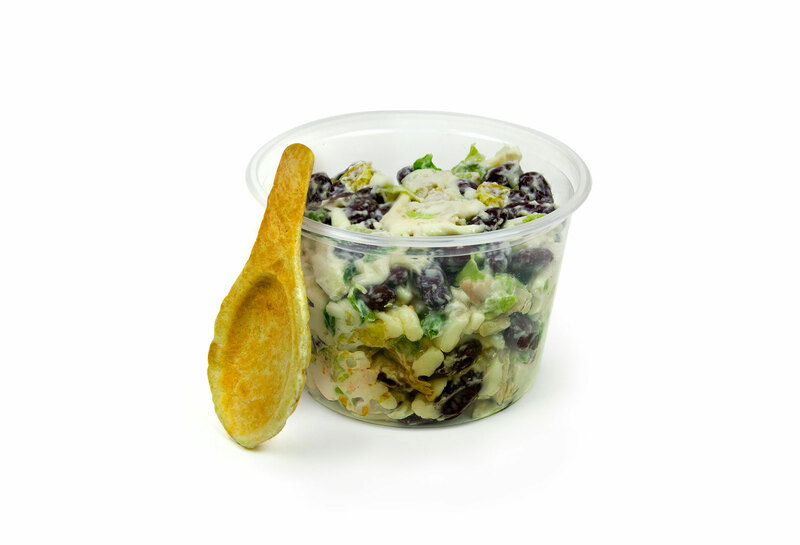 It reliably produces delicious, crisp-tender, evenly-browned spoons that you can simply eat with your meal. 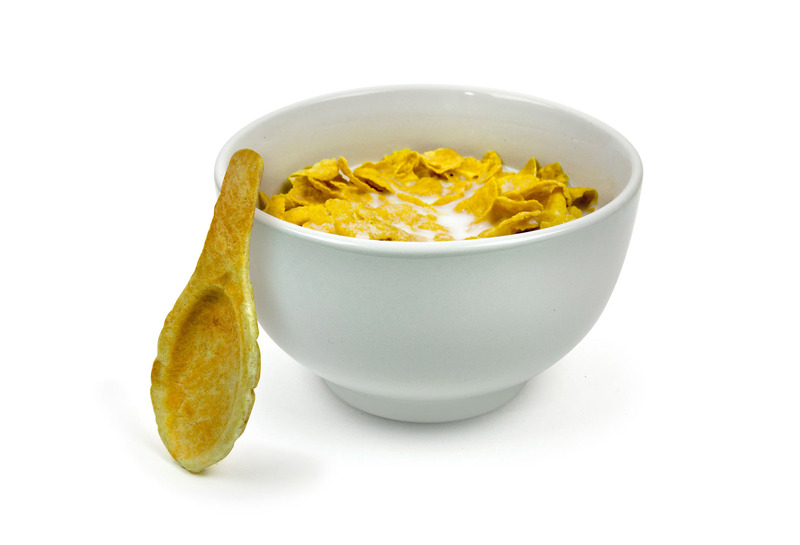 The nonstick grid effectively releases baked spoons without extra oiling. Because it takes only three to four minutes to make a batch of four, you could easily feed a family of four with this spoon maker (or just serve a couple of folks, if that’s your thing). And there’s no guessing involved! 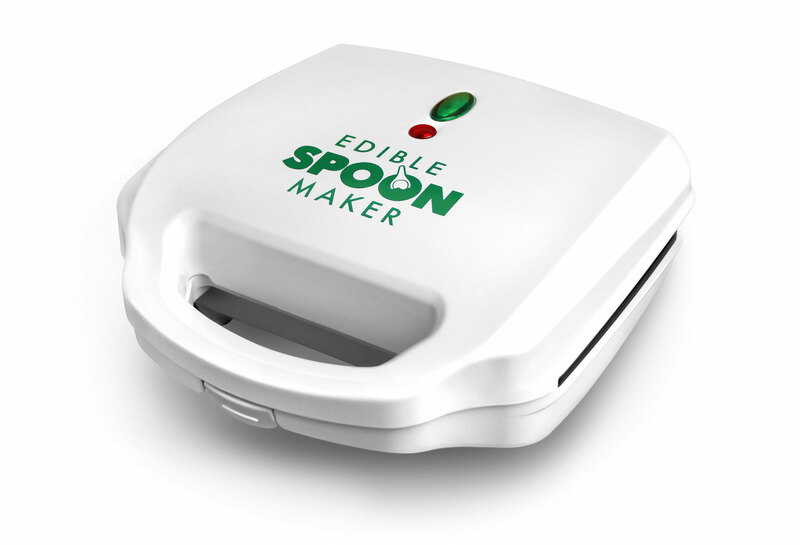 The green “ready to bake” and “ready to eat” indicator lights let you know exactly when your spoons are done. 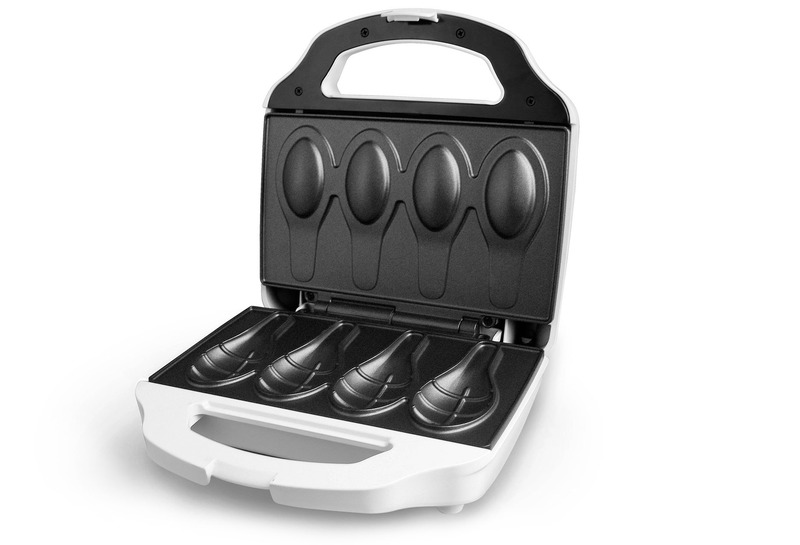 The Edible Spoon Maker’s compact design also makes it convenient to use and store. The Red Power light comes on when the Edible Spoon Maker is plugged in. This light will stay on until the unit is unplugged. The Green Preheat light comes on when the appliance has reached the desired temperature and is ready for spoon dough. Check for doneness when steaming slows. Most dough cooks in 3 to 4 minutes, making for a quick meal with easy clean up. 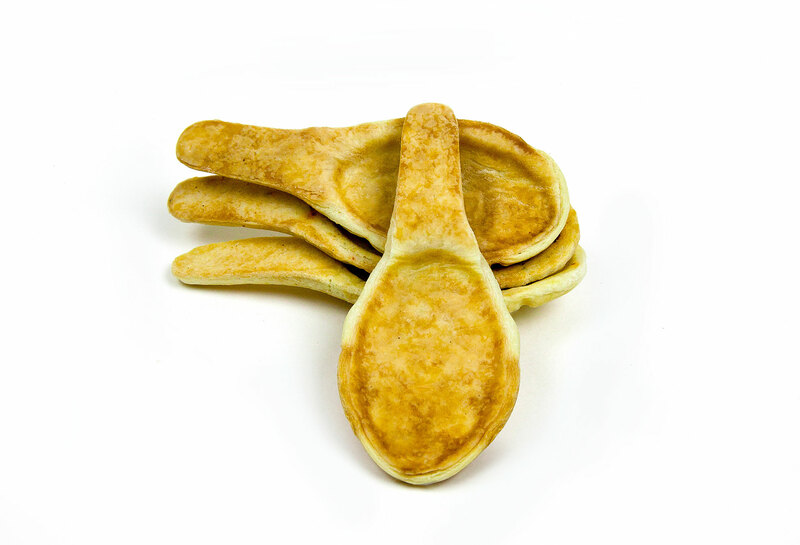 Make a delicious breakfast treat with the Edible Spoon Maker. It features easy to clean, non-stick grids and is white in color. With power and preheat lights, the item is easy to use. 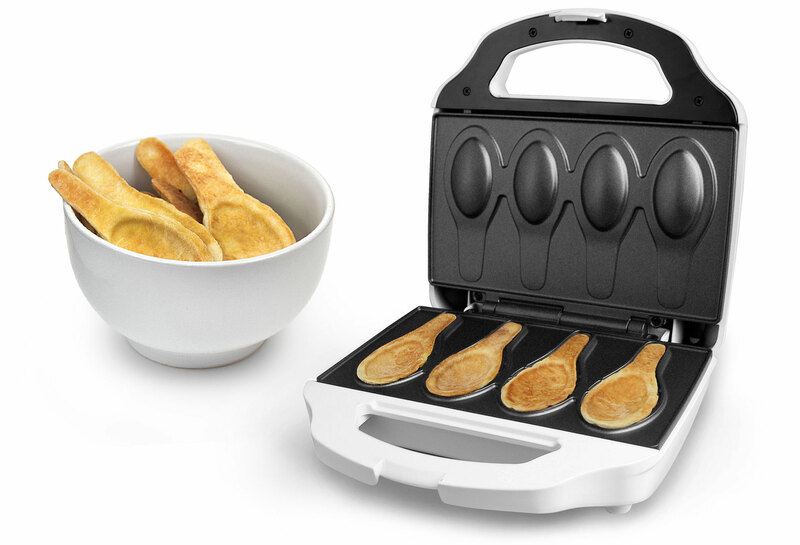 The Edible Spoon Maker is also lightweight and compact. 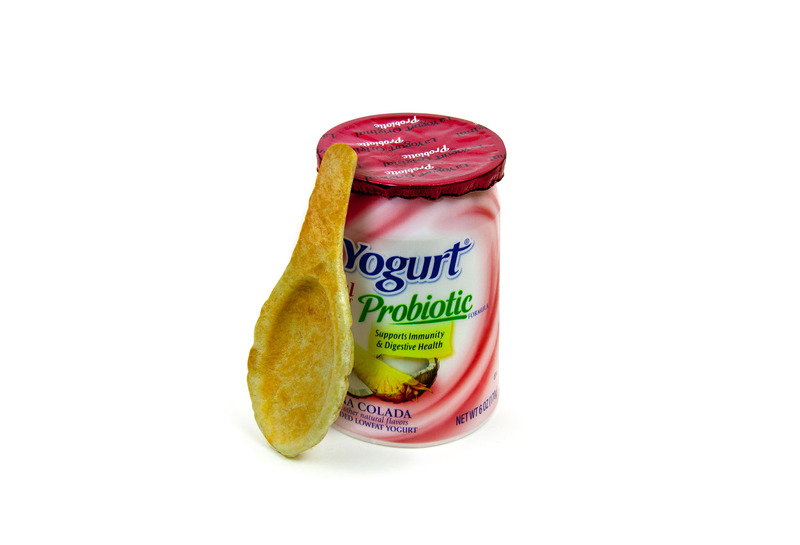 Edible Spoon Maker: Patent pending.